This is the report which explains why the McCanns were made ‘arguidos’ (suspects). Madeleine Beth McCann was born on 12 May 2003. She has been missing since the 3 May 2007, an event that took place in Praia da Luz, near Lagos. She is the daughter of Dr Gerald and Dr Kate McCann. Her birth was desired and planned. The mother’s difficulty in becoming pregnant should nevertheless be mentioned, as well as the resulting necessary treatment and its cost. She was born from ‘in vitro’ insemination, but the tracing of the child’s DNA shows that she is in fact the McCann couple’s daughter. It is a scientific fact that the medical treatments to overcome some of the causes for the lack of pregnancy increase the likelihood of twins being born from a so-called normal pregnancy. In this case, we can see that a pregnancy, although desired and planned, turned a family of three into a family of five. Moreover, caring for one child is not the same as caring for three, all of tender age. At around midnight on the 3 May 2007, following a telephone call between the GNR [local police force] in Lagos and this police station, we were informed of the disappearance of a child, an English citizen. We went there to carry out the necessary judicial investigation. Faced with the fact of the disappearance of a child, the investigation sketched out several possible scenarios. 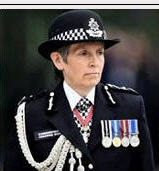 Nevertheless, and considering the evidence of one of the McCanns’ friends, Jane Tanner, we continued examining the possibility that Madeleine had been abducted. This went alongside the gathering of all kinds of information, working on a number of other possible scenarios. According to their story, they all went out to dine each evening and all left their children asleep in their apartments whilst they were dining. The group told us that they held a meeting during which they agreed certain procedures for continuous checking of the children while they dined. Our files include a manuscript by one of the group’s members that backs this claim. One individual in the group, wanting to make the group’s version about the checking more consistent, gave it a personal touch, stating that the checks on the children were carried out in two ways: the first method being just to listen to see if anyone was crying, in which case silence meant that all was well, and the second method by actually entering the apartment to check. 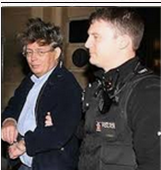 For example, one of the group, Dr Matthew Oldfield, did just that - listen to see if all was well - apparently telling Dr Kate McCann that all was well, with no further explanation. 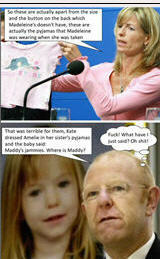 This is what Dr Kate McCann herself recalls. If someone [Dr Matthew Oldfield] checked on the children at 9.30pm on 3 May and all was well, then Madeleine’s disappearance must have taken place between 9.30pm and 10.00pm. If we could not rely on [Dr Oldfield’s] information, then her disappearance would have taken place between 9.00pm and 10.00pm., widening the time period (presuming that the father speaks the truth). But there is another question about the timing which is this: The last time that the child was seen outside of the group, by someone who can prove they saw her, was at around 5.35pm, when the parents went to pick her up at the crèche. This may widen the time lapse between Madeleine’s ‘disappearance’ and the alarm being raised into more than four hours. This information directed and occupied our work for a long time. This may be an example of how information that is not correct may not only delay the investigation but could even have led to losing the little girl. Jane Tanner insisted on the truthfulness of her account. This led to certain scenarios being developed. But these scenarios were not sustained in reality despite long and intense work being carried out on that arguido [Murat]. Up to now we have been analysing relatively minor discrepancies in the information initially given to us - small ‘alterations’ of the truth. We had to relate these to our investigation and the direction it had been forced to take [i.e. pursuing the abduction claim]. The investigation didn’t follow the command or the will of anyone. But the information from the immediate family and their group of friends which is fundamental in investigating this type of crime was always distorted. 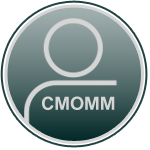 And the fact that the individuals were foreigners hindered us in collecting direct information about the individuals in the group. The parents of Madeleine live in a demanding sector of British society. Both parents are doctors. The father is a cardiovascular surgeon. These facts increase the degree of demands on them and their consequent tiredness. In a society that is identified internationally and in the media as being so demanding, and with many and tight rules to conform to, it makes it obligatory that such people rest; take a retreat from their day-to-day professional lives, and take their holidays. In many moments of Dr Gerald McCann’s professional career he had to make decisions in thousandths of a second. This gives him a certain coldness, and certainly causes increased tiredness. The enjoyment of a period of holidays presupposes a rest from one’s normal professional obligations and the freedom that comes from not having to carry out one’s daily work routines. The social life in such a holiday, in this case, was facilitated by the fact that they travelled together as a group, but, equally, that social life may, in a certain way, be affected by the constant presence of and having to accompany their infant children. The impact of the infants on the social life of the group’s holidays was clear in their decision to place their children in the children’s centres and crèches available at the resort (according to their ages). The holiday time was not shared between parents and children. Until around dinner time, Thursday 3 May had passed by for the group in the usual way. After fetching the children from the nursery and the crèche the McCanns went to their apartment, shortly after 5.35pm. But Dr Kate McCann went running for half-an-hour on the beach, then went to the apartment, while Dr Gerald McCann went to play tennis. The McCanns put their children to sleep at around 7.30pm. They remained in their apartment until around 8:30pm, going to the Tapas restaurant afterwards. They were the first to arrive out of all the group. After the entire group was at the table and after the meal started, the checking on the children began, in a way that is neither coherent nor acceptable. We could not confirm how the checking occurred. The McCanns’ group of friends defended their account of events that evening. That night, at around 10.05pm according to Dr Kate McCann, she went to the apartment to check the children, coinciding with the end of the dinner. So her return to the apartment was about 1½ hours after she came down to the Tapas restaurant for the meal. She didn’t see the children during this period. She was away from the table for about 10 minutes. She then showed up back at the restaurant and told the other members of the group that Madeleine had disappeared. Because, they said, they needed counselling and support, Madeleine’s parents asked at between 2.00am and 3.00am on 4 May for the presence of a priest. This suggestion was inexplicable to members of the investigation team. Why were the family themselves raising the hypothesis that little Maddie was dead? Nevertheless, for the purposes of the media, they continued (and continue to this day) to declare their hope of finding their daughter alive. So, whilst still keeping open several lines of investigation, it was decided to advance the investigation in a new direction by arranging a new inspection of the place where Madeleine had disappeared. We decided to use a technique that is commonly used in the United Kingdom and it consists of the use of the sense of smell of highly trained dogs. A human has 5 million cells to assist the sense of smell while a dog has 200 million. We need to highlight that this kind of inspection is frequent in the U.K. and the dogs’ success rate is 100%. One of the dogs is trained to detect [human] cadaver odour and the other to identify traces of human blood. We now need to emphasise that when the cadaver dog alerts to the cadaver odour, this does not signify that the body is in that place, but it does signify that the body has been there at some time in the past. Front garden of Apartment 5A: The cadaver dog alerted to the scent of a corpse on one of the flower beds (the dog handler however commented on the ‘lightness’ of the odour in this location). Apartments where the rest of the group were staying: Nothing detected by either dog. McCanns’ present residence in Praia da Luz at that time [July 2009]: Nothing was detected by either dog. The car that was used by a family friend who was staying in the same resort, on some of the same days: Nothing was detected by either dog. All the cars that were used by arguido Robert Murat and the people who are close to him: Nothing was detected by either dog. In a total of 10 cars examined [in an underground car park) the cadaver dog and the blood dog marked only the car of the McCann family, first rented on 27 May). The locations and items that were marked and signalled by the blood dog are being subject to forensic examinations, part of which are already concluded. For example, the media suggested the possibility that the children could have been sedated to be kept asleep and allow the parents some rest. 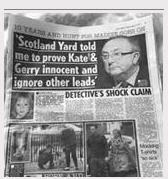 Later in time, Dr Kate McCann’s father, Madeleine’s grandfather, Brian Healy, admitted to the press that Dr Kate McCann could have administered some medication to the little girl, namely Calpol, to help the child or the children to sleep, contrary to what his daughter Dr Kate had hitherto been stating. Later, Dr Kate McCann, via the Portuguese Police Inspector who acted as liaison officer for the family, asked why samples weren’t taken from the twins in order to test the hypothesis that they had been sedated. She knew well enough at that time, more than 3 months later, that such an examination would be worthless. However, she went even further and said that we - the investigation - should verify that the abductor had sedated Madeleine, in order to accomplish his action and that he had also sedated the twins so as to be able to abduct the twins. But she didn’t bring up these things at the appropriate time. What we know for certain is that the sedatives have periods in which to act as a sedative and timings at which they are normally completely expelled from the body, that vary between 6 and 200 hours. The McCanns’ medical knowledge is enough to know this, even if their professional activity never included performing toxicology examinations. On the day that the house search was performed, at the McCanns’ later residence in Praia da Luz, written papers were found in the master bedroom, as well as a Bible, written in English. It was open on the pages whose copies are annexed to this report, with the translation. Abduction is a situation with which, unfortunately, in the U.K., most of the public opinion is acquainted, due to the frequency of this kind of crime. Intelligent people should have a minimum of knowledge that publicity about an abduction damages the investigation of an abduction crime and is especially threatening to the safety of the abducted person. 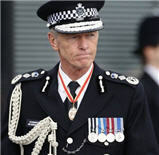 People should wait for decisions from the police authorities. There is strong evidence that the crime scene was altered, and some furniture was moved around. Those changes are indications that the adduction was a stage-managed simulation. The indication from the cadaver dog, as well as from the blood detection dog, on the key of the aforementioned vehicle, where the laboratory would confirm the existence of Dr Gerald McCann’s DNA, cannot be dismissed. This last signalling was obtained by the dogs after the key was put far away from the vehicle, in a non-visible location. F. from what has been established up to now, everything indicates that the McCann couple, in self-defence, did not want to deliver up Madeleine’s corpse immediately and voluntarily, and there is a strong possibility therefore that it was moved from the initial place where she died. This situation may raise questions concerning the circumstances in which the death of the child took place. 2) an evaluation of the measure of restraint to be applied in this case. The SY must have seen this report. If they do not re-interview the whole lot of the Tapas crew then it will have been a complete waste of time and money. Is it any wonder the Portugese police refuse to re-open the case without the co-operation of the parents. No need for Judge Judy, the police already knew - their story did not add up, they were lying and he says so in his report. I really believe they will lose their libel trial in Portugal, to say that Mr. A. has hindered the search for Maddie is absolutely ridiculous. I do believe this report shows it and to any other person who has an ounce of sense. It states quite clearly the Mr. Healy contradicted his daughter as he said that Mrs. may have used Calpol. Contradictions everywhere but still as far as we know they have not been seen by the SY review team. They continue to ask for help from the public but I think they really do need to get back to Portugal and sort this out for Maddie's sake. @plebgate wrote: The SY must have seen this report. If they do not re-interview the whole lot of the Tapas crew then it will have been a complete waste of time and money. Yes, how could anyone sanction a review of the case, a chasing of paedophiles anywhere and everywhere when this succinct summary was available - to SY, Gordon Brown, Teresa May, David Cameron et al? Would be good to get an intelligent MP ( in the context of police budgets) to raise this in PMQs - ie under parliamentary pricilege. Where is someone with the balls to do it? "Now they even say that it was the criminal investigation team that placed this ‘false’ evidence (i.e. blood and cadaver odour in the apartment and in the car). In an attempt to justify the finding of [Madeleine’s] blood in the apartment, Dr Kate McCann went even further, stating on that occasion that Madeleine sometimes suffered nosebleeds." So if it was "nosebleeds" what was the cadaver odour? Her cat? All we get is to listen to their excuses on the TV with their smiles, and happiness. Always reminding us that theyre doing well, strong because the public has given them Strength they say? Or is it to explain why they look happy?. Why do they keep mentioning that the public has given them strength? We don't want to know why you're looking happy. In fact every time they're laughing we are all laughing at them really, for being BAD ACTORS!! And if I was Jane Tanner that night ' going back to the table I would have notified them or when seeing everyone looking for Madeleine I'd say quick "lets search He went that way!!!" jump into a car. Hi Praiaaa. There is no such thing as 'an intelligent MP'. The mischief in me would like to see a learned barrister persuade a Judge that the two dogs, separately, who alerted to what they are trained to find, were wrong. Lets hope he/she fares better than the shills on twitter. @sammyc wrote: Hi Praiaaa. There is no such thing as 'an intelligent MP'. I think they are intelligent up to the point where they become corrupt, then they use their talents for evil. I think some MPs are intelligent but have absolutely no COMMON sense, especially since a lot of them are not "common" having been around only money and privilege all their lives and so do not understand how commoners actually live. Give me common sense any day. New law should be passed, common sense test needed for all would be MPs, simples.